Review : This is the chocolate cake we make when we are looking to have chocolate cake. The best. And it's great with any frosting. We love to use the frosting that is meant to go with it (bottom of the recipe), but we've also used banana cream frosting, whipped cream frosting and pretty much any tasty frosting will go well with this cake! 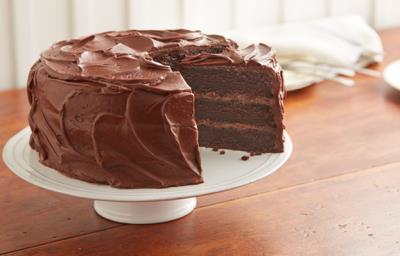 Do you have a go-to chocolate cake recipe?